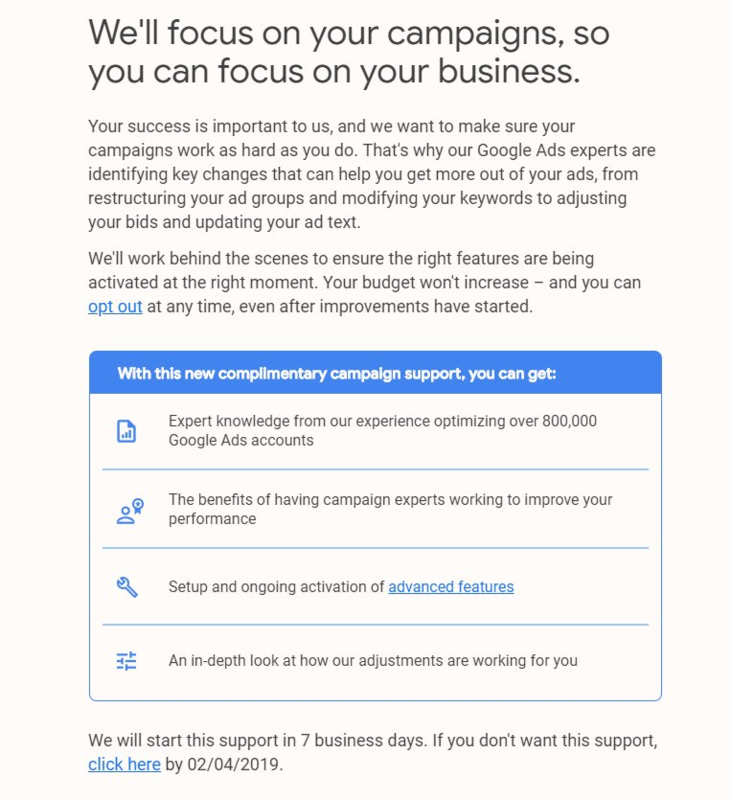 As of Feb 4, 2019, Google Ads reps will start making changes to your account unless you opt out, even if you’re an agency or your PPC campaigns are managed by one. So how can you opt out of having a Google Ads representative control your SEM and other paid media advertising campaigns? And what exactly will Google take random control over? What changes can Google Ads Reps Make to your Google Ads Campaigns? Google Ads Experts might modify your keywords. Google Ads Experts might restructure your ad groups. Google Ads Experts might update your ad text. Google Ads Experts might adjust your bids. Google Ads Experts might also setup and activate advanced features. Google claims these changes will help you “get more out of your ads,” and that they’ll make the changes happen at the right time. You see, Google only wants to make improvements, so you’ll succeed and gain more customers. Will Google Ad Reps improve my online advertising? According to Ginny Marvin’s report on the Google Ads change in Search Engine Land, Google isn’t forthcoming about what level of experience and training these so-called Google Ads experts will have. Can I opt out of the new Google Ads program? The good news is that you can opt out of the new program, which Google claims is only in the pilot stages. Levy’s email claims that you must opt out by Feb 4, 2019. And Google clarifies that the opt out date is always 7 days from the date they send you the email that your account is being added to the program. 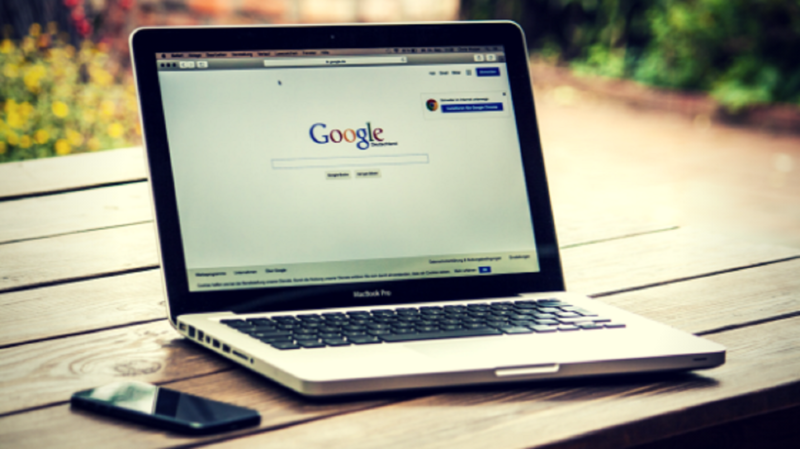 However, Google has also stated that you always maintain full control of your account – or accounts if you’re an agency in charge of multiple clients’ Google Ads accounts. As such, you can also opt out of any adjustments Google makes to your SEM campaigns. Again, Google encourages you to regularly monitor your online advertising campaigns and your Google Ads account. The bottom line is, no matter what happens, you always have control over your account. Google won’t alter your budget and it looks like you can opt out of the program at any time. Everyone at BizIQ is keeping on eye on the program, and as I learn more I’ll update this post. But what do you think? Is this new Google Ads development a good idea? Let me know in the comments below.